The Predator 8 display is impressive with vivid colors. The tablet has four speakers, one on each corner, for immersive sound. The Predator 8's quality doesn't meet expectations for an elite gaming tablet. The haptic feedback seems like a good feature, but it can be annoying. 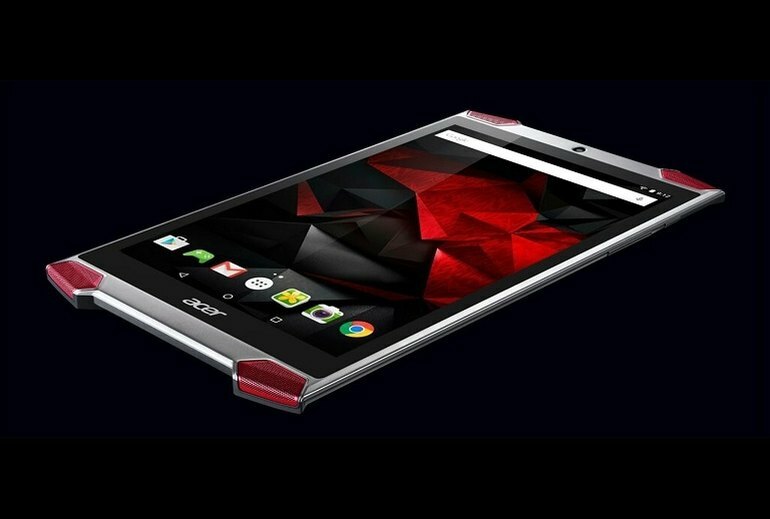 Acer clearly means to impress with its new high-end gaming tablet, the Predator 8. The four corner speakers, which create a surround sound experience, are part of a bold aggressive design that turns heads. The Predator 8 runs on the Intel Atom x7 processor with 2GB of RAM and holds up to 64GB of internal memory. 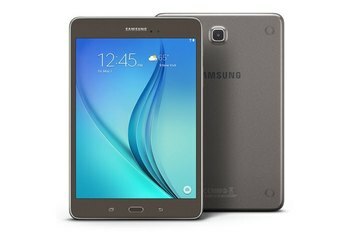 The impressive 8-inch display is full HD and runs 100 percent of the NTSC color gamut. 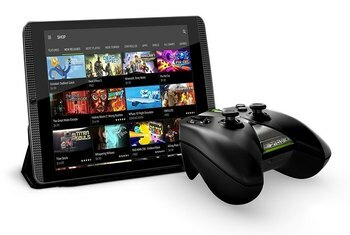 The tablet includes haptic feedback, similar to what you’d find in DualShock PlayStation controllers, meant to give a more immersive experience during gameplay. As for the design, it isn't instantly lovable. It has that trying too hard vibe common among gaming laptops, as if everything has to be wacky colours and neon lights to make an impression. 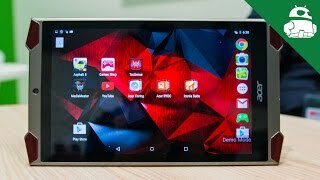 The Acer Predator 8 is a unique slate tablet with a design and specs catered specifically toward gamers. It has a good screen and smooth performance, while features like haptic feedback and quad speakers definitely help to enhance gameplay. That said, diehard gamers will find newer and higher-quality titles for the iPad mini. Acer’s screen is highly reflective when used outdoors, but it’s also pleasingly bright and I didn’t have much trouble seeing the action when playing games outside, unless it was a particularly dark scene. However, the way the speakers stick out on all four corners make it a little difficult to hold--we don't think ergonomics was high on Acer's list for this one. Predator 8’s Full HD display is its strongest selling point. 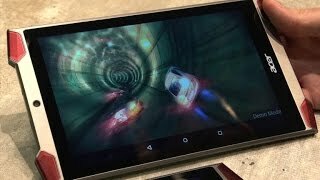 Its 283 pixel-per-inch density is perfectly solid for playing games on Android, and it provides a very good experience through its exceptional color saturation and powerful brightness. 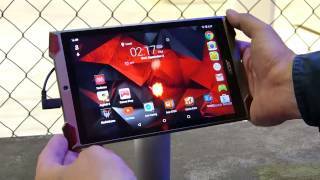 The Acer Predator 8 is a strange tablet. 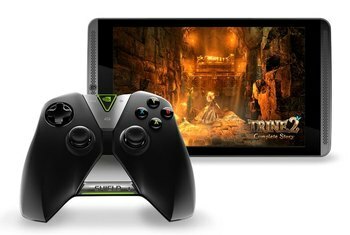 It positions itself as a gaming tablet, but really all tablets are gaming tablets. While the Atom X7 doesn’t have the same reputation as the Snapdragon 810, it still got pretty warm in the Predator 8. Ten minutes of play resulted in clammy palms--and not because of the exciting game. 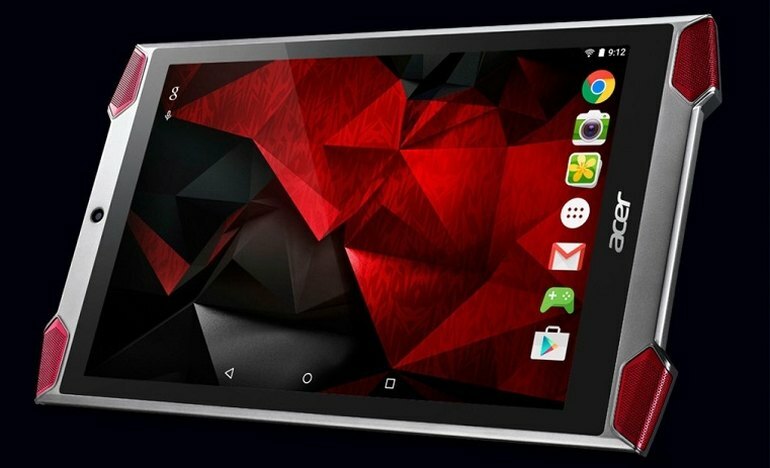 As we already mentioned Predator 8 is designed as a gaming tablet and it doesn’t come as a surprise that it performed good in our gaming test, which consists of some of the heaviest games on Google Play – Dead Trigger 2, Modern Combat 5 and Real Racing 3. Gameplay was smooth on all three games. There’s one speaker in each corner, for a total of four front-facing speakers, which Acer likes to call “Predator Quadio.” This setup is of course intended to deliver an audio experience like no other, and they do sound extremely good. 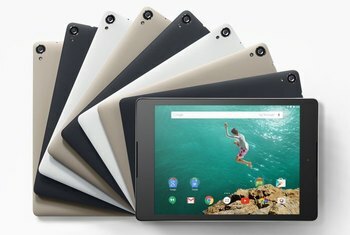 OK, so here's where we're at so far: crap battery life, average (at best) performance, good storage, awful design, and a decent display for $280. It's a gaming tablet! Two areas where it shouldn't skimp are battery and performance, yet here we are. Unfortunately, the feel did not back up the awesome appearance. There’s no other way to break it down, it feels cheap. 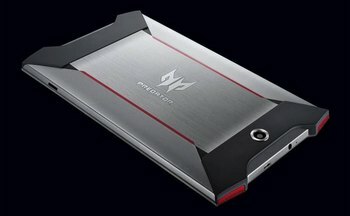 Four front-facing speakers and a shape like no other tablet - not to mention aesthetic flare the likes of which we've only otherwise seen on the rest of Acer's Predator line of gaming PCs - all of this adds up to a very unique piece of work.